It’s no secret that a bright, beautiful smile attracts attention. 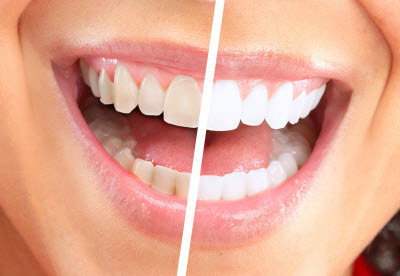 Whether you have an upcoming event or just want that glowing selfie appearance, professional teeth whitening can positively transform your smile. Dr. MJ Waroich and her team help Washington, D.C. patients feel confident in their dazzling smiles. Our office provides teeth whitening to lift stains and enhance your smile’s aesthetic. Find out how a single session can boost your smile’s shine. Make an appointment today! Today’s whitening options offer the versatility to meet your personal needs and provide the treatment that’s most convenient for you. For the strongest whitening, consider our in-office method. We offer powerful whitening with the professional-grade lightening gel. This powerful product penetrates the enamel to lift stubborn stains and restore the natural enamel shade. Many patients find their teeth up to eight shades brighter, and a single session usually takes only an hour. For those whose hectic schedule makes in-office visits difficult, our at-home whitening kits are the ideal solution. These custom kits can be used when it’s convenient for you, whether at home, in the office, or wherever you feel comfortable. Simply follow the dentist’s instructions, and you can enjoy whiter teeth on your schedule. They’re also great for touch-ups to keep your teeth in pristine condition after in-office whitening! Dr. Waroich takes a conscientious and gentle approach with her patients. We use a numbing cream to ensure that your whitening treatment is comfortable and that you feel relaxed at all times. As part of the treatment process, we also use the Philips brand relief ACP desensitizing gel. Philips includes this gel with its take-home to limit sensitivity from whitening. It also promotes stronger enamel and leaves your teeth with a glossy finish. We’re Excited to Help Your Smile! Dr. Waroich and our dedicated team know how important a confident smile can be. We love seeing our patients leave our office, eager to share their enhanced smiles with the rest of the world. If you would like professional grade, gentle teeth whitening treatment, call our office today to set up an appointment.